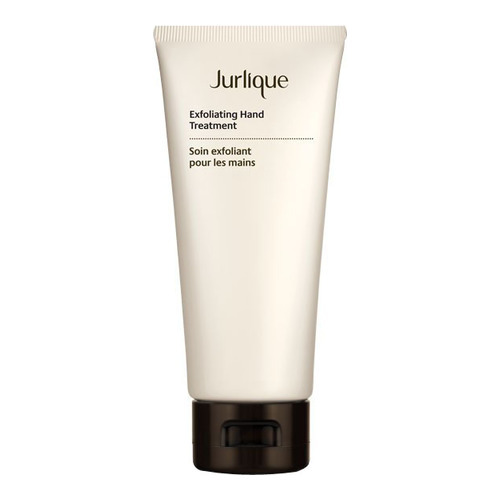 A hand treatment that exfoliates the hands and smooths the skin. A 2-in-1 hand treatment mask and scrub to deeply cleanse and protect. Red and white clays absorb impurities, while natural Jojoba beads gently exfoliate to leave hands feeling soft and smooth. Aqua (Water/Eau), Glycerin, Kaolin, Cetearyl Alcohol, Carthamus tinctorius (Safflower) Seed Oil, Caprylic/Capric Triglyceride, Glyceryl Stearate Citrate, Cellulose Acetate, Persea gratissima (Avocado) Oil, Hydrogenated Jojoba Oil, Honey (Miel), Butyrospermum parkii (Shea) Butter, Camellia sinensis Leaf Extract, Vitis vinifera (Grape) Seed Extract, Rosmarinus officinalis (Rosemary) Leaf Extract, Arctium lappa Root Extract, Melia azadirachta Extract, Trifolium pratense (Clover) Flower Extract, Aesculus hippocastanum (Horse Chestnut) Seed Extract, Urtica dioica (Nettle) Extract, Calendula officinalis Flower Extract, Chamomilla recutita (Matricaria) Flower Extract, Betula alba Leaf Extract, Equisetum arvense Extract, Althaea officinalis Root Extract, Magnesium Aluminum Silicate, Mica, Tocopherol, Fragrance/Parfum*, Xanthan Gum, Ethylhexylglycerin, Phenoxyethanol, Sodium Dehydroacetate, Citronellol*, Geraniol*. *From Natural Essential Oil. • Apply a generous even layer to backs of hands, fingers and forearms. • Relax for 5 minutes. Add a little warm water to reactivate and gently massage to exfoliate. • Rinse thoroughly. Use weekly or as needed.